Riot Turtle in the Enough 14 Info-Café: What was that tree from #HambacherForest doing in a meeting of the Coal Commission? 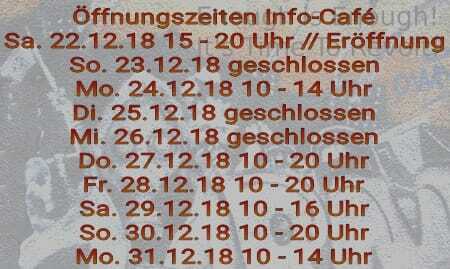 On december 22, the Enough 14 Info-Café opened in Wuppertal on the German territory. A lot has happened in the past month and we have a lot more plans for the coming year. 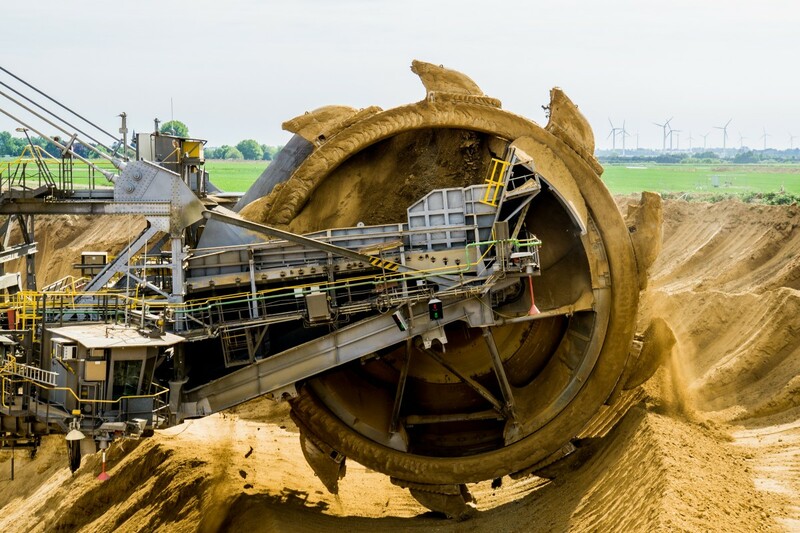 But what was that tree from Hambacher forest doing in a meeting of the Coal commission? And why was the name of this blog and the Info-Café changed in Enough 14? Continue reading Riot Turtle in the Enough 14 Info-Café: What was that tree from #HambacherForest doing in a meeting of the Coal Commission? 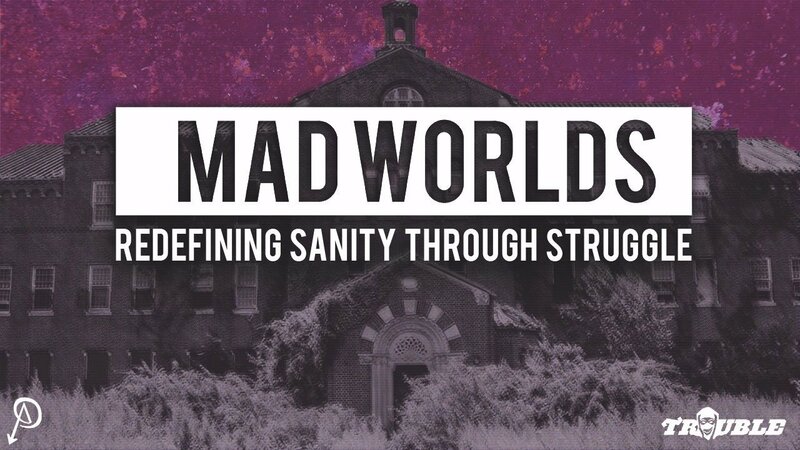 On February 1, 2019, the Enough is Enough Info-Café will organize a screening of Submedia’s Trouble 17: Mad worlds. The screening will start at 07:30pm (19:30). 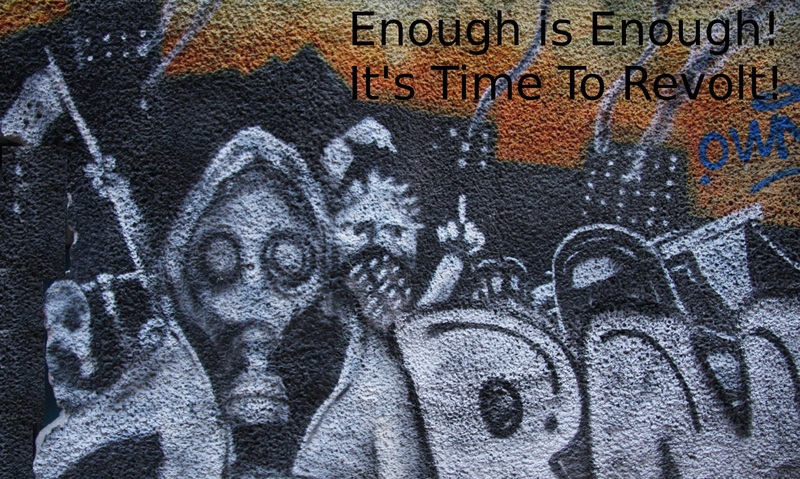 Enough is Enough Info-Café, Wiesenstraße 48, 42105 Wuppertal, German territory. We are on the verge of a climate disaster, but instead of a united effort to get rid of the cause of the problem, nationalism and fascism are growing across the planet. At the same time financial markets and multinational corporations are cheering and parliamentary democracy is running in a dead end street. Climate change and capitalism are two sides of the same coin and green capitalism will not bring a solution. 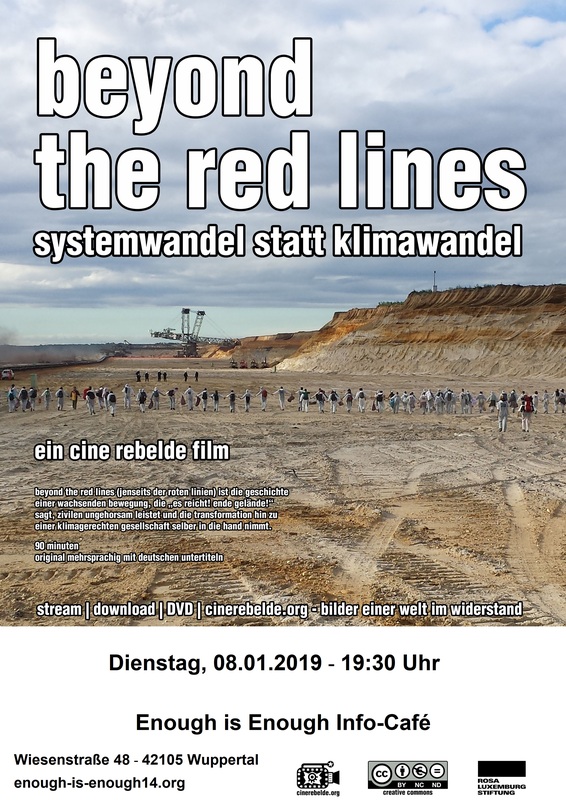 On January 8 (19:30) we organize a screening of the 90 minutes long documentary film “Beyond the Red Lines – System Change not Climate Change” in the Enough is Enough Info-Café in the Wiesenstrasse 48 in Wuppertal (German territory). After the video screening we will discuss about the film and the Climate Justice movement. 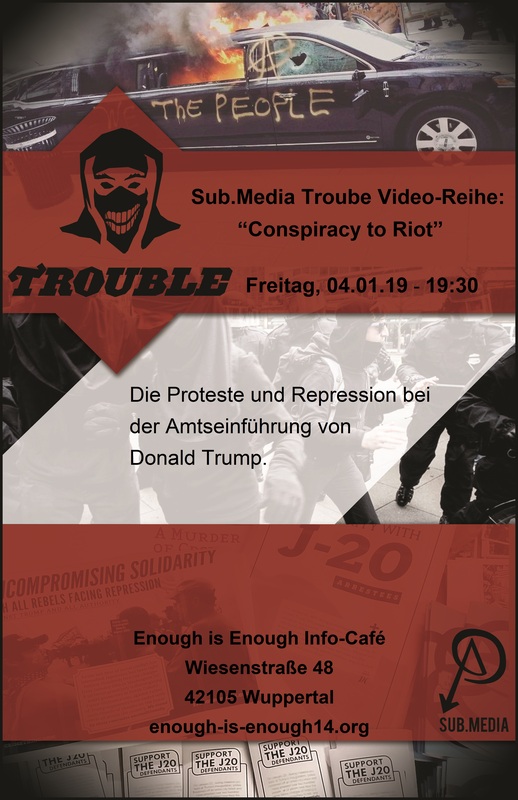 On January 4 (19:30) we organize a screening of Submedia’s Trouble 16: “Conspiracy to Riot” in the Enough is Enough Info-Café in the Wiesenstrasse 48 in Wuppertal (German territory). After the video screening we will discuss the J20 resistance and the solidarity against the massive repression. 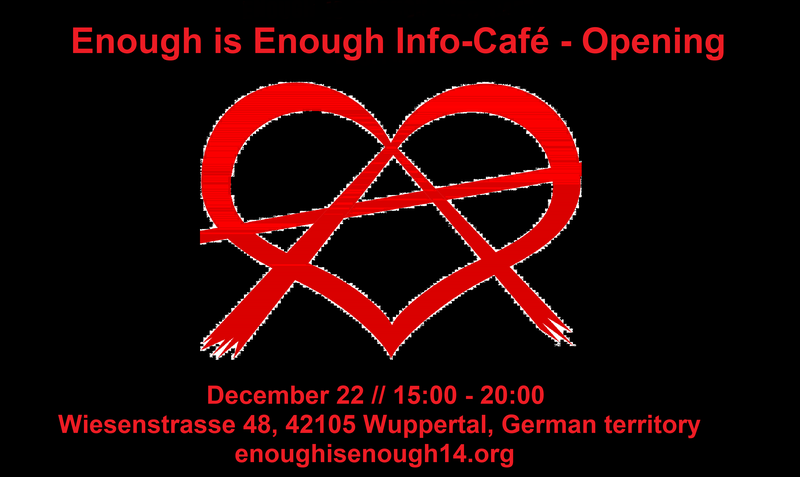 On December 22 the Enough 14 Info-Café opened its doors in Wuppertal, German territory. 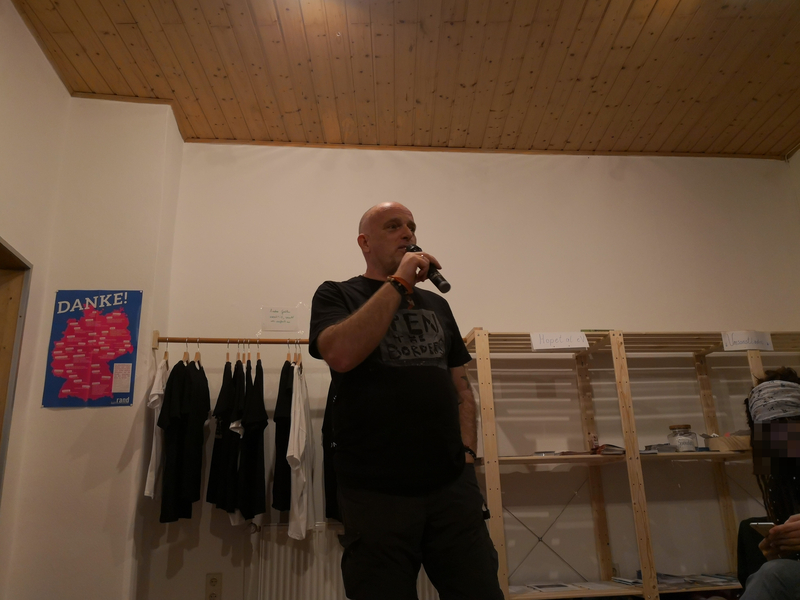 A short report and podcast about four years of struggle and the first day of the Enough is Enough Info-Café. 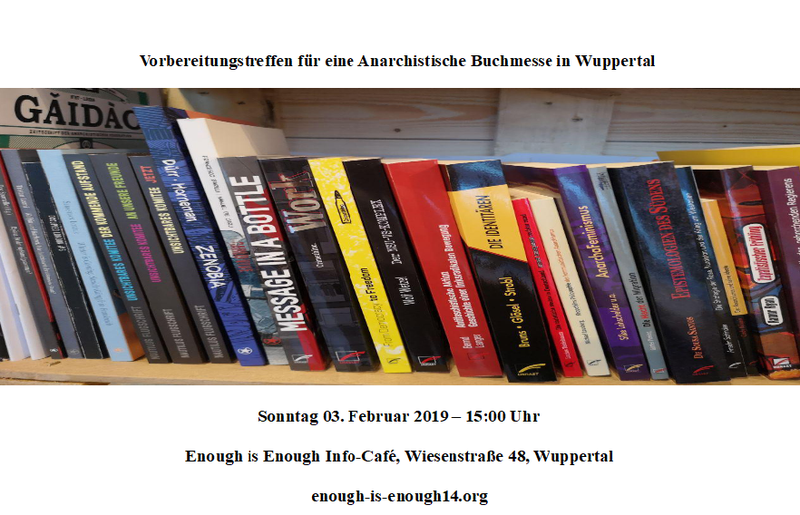 On December 22, 2018, the Enough is Enough Info-Café will open its doors in Wuppertal (German territory). Here are the opening hours for 2018. 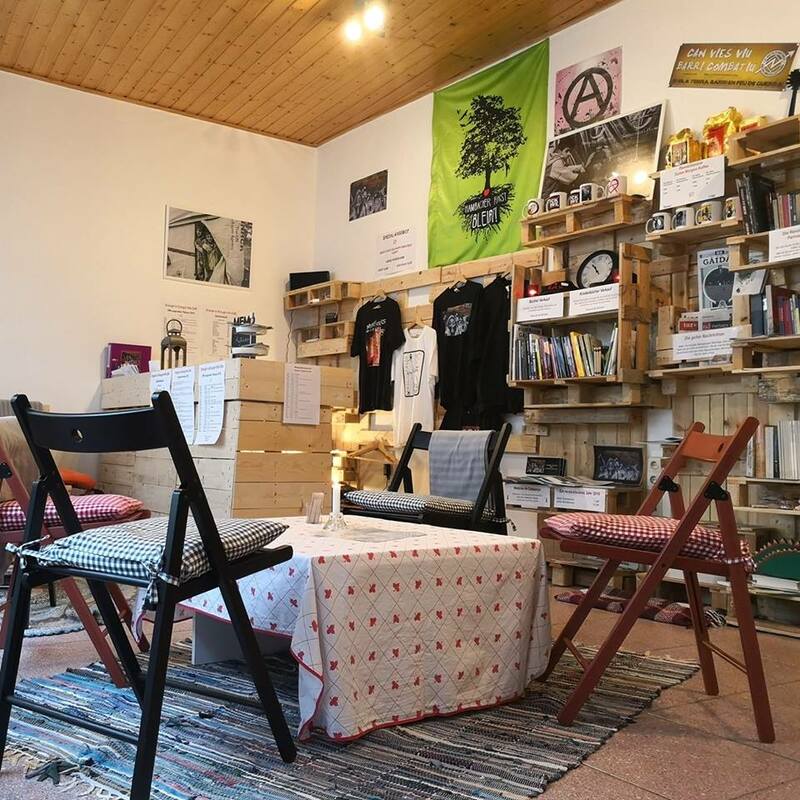 We believe that neighborhood work is an immensely important factor in organizing a better world and have therefore decided to open an info café in the Nordstadt district in Wuppertal, German territory.